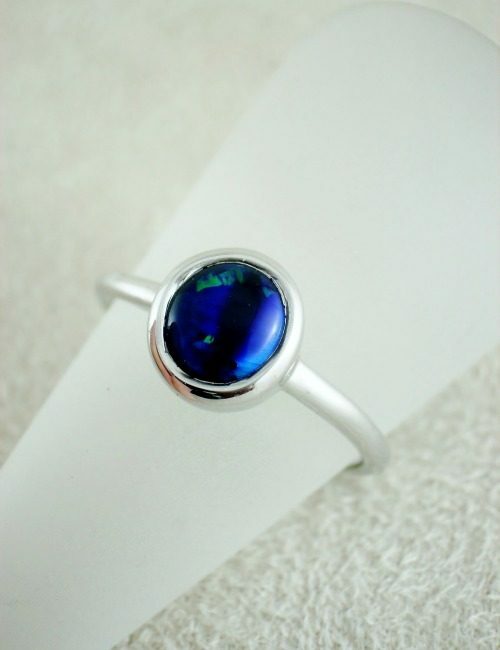 This Opal ring has an eye catching solid Boulder Opal set with anti tarnish sterling silver. 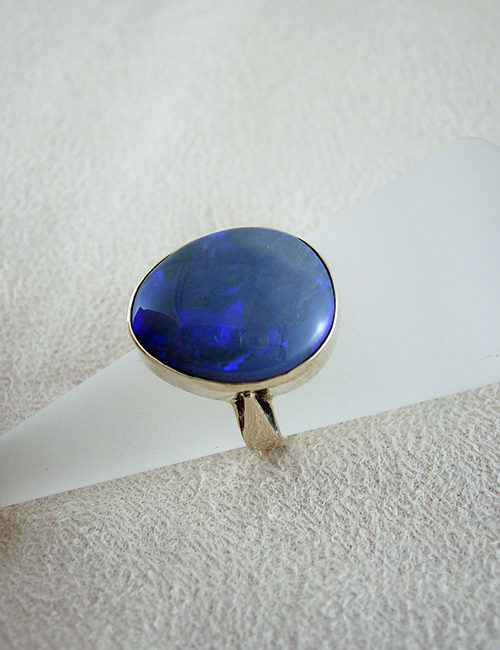 The opal has glowing electric blue colours. The freeform shaped opal has a slightly undulating surface and measures 17mm x 10mm, the band tapers from 10mm wide beside the opal down to 4mm on the underside for comfort. The ring is a size 11.